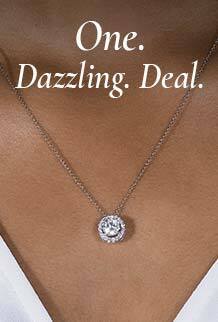 Featuring expertly faceted round cut moissanite, 4.0mm. Total Diamond Equivalent Weight (DEW) 0.92 carats. A double delight. These Forever One moissanite stud earrings feature two linear round brilliant stones set securely in 14K gold. A little distinctive. A lot sparkly.